Angela “Angie” Martinez (born January 9, 1971) is an American radio personality, former rapper, and actress. Nicknamed “The Voice of New York,” her afternoon radio show has consistently been ranked #1 with more young listeners than any other radio program in the country. Known for her signature laid back style of interviewing, Angie is well respected —and praised—for her unique ability to get up-close and personal with larger-than-life personalities. Her storied experience and poise on the airwaves while interviewing such global icons as Bill & Hillary Clinton, Derek Jeter, Spike Lee, JAY Z and Beyoncé resulted in Martinez adding Special NY Correspondent for Extra TV to her current scope of work, where she has (so far) worked alongside Oprah Winfrey, Lady Gaga, Robert DeNiro and more. In addition to her professional work across the media landscape, Angie has become a passionate cultural voice for her community and fan base through HealthyLatinEating.com, which she founded in 2014 to share her love for—and support of—healthy Latin cuisine. And most recently, Angie dedicated herself to training for and completing the 2014 TCS New York City Marathon in support of The PitCCh In Foundation, where her team raised over $200,000 to benefit inner city youth. 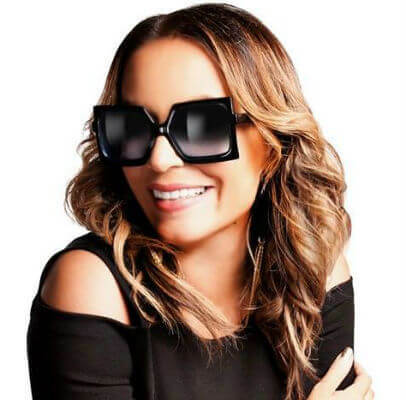 Fans can tune into The Angie Martinez Show on New York’s Power 105.1, weekdays from 2pm - 6pm, and on Miami’s The Beat 103.5, middays from 10 a.m. - 2 p.m. Fans can also access The Angie Martinez Show through iHeartMedia.com and the iHeartMedia app. Tell us how much you like Angie Martinez.